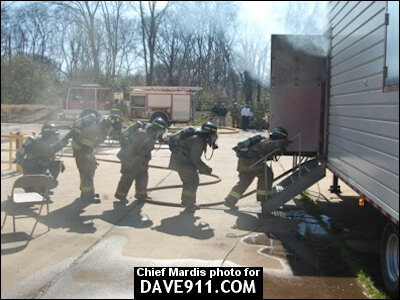 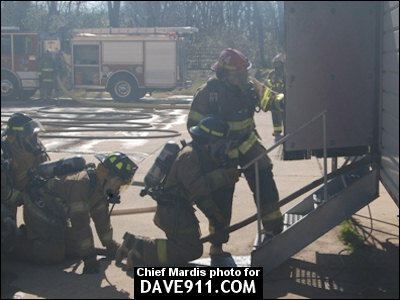 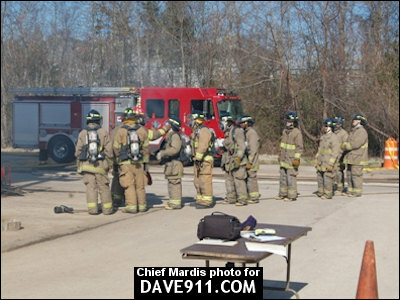 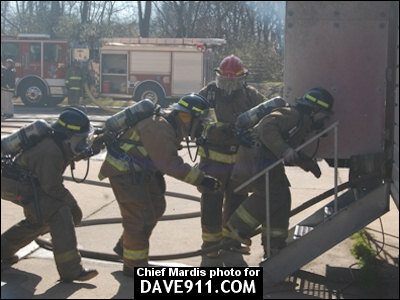 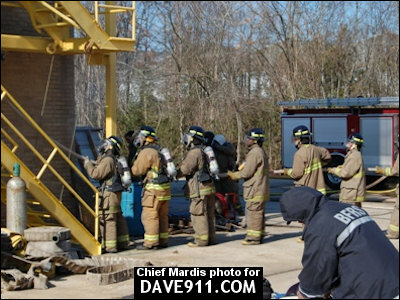 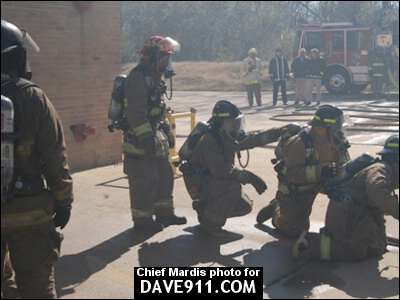 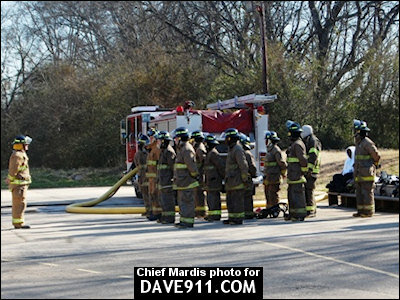 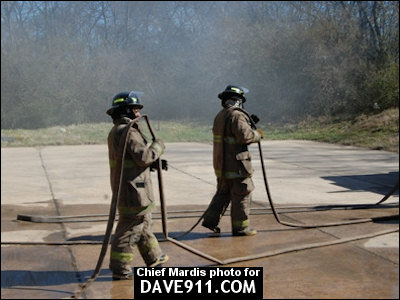 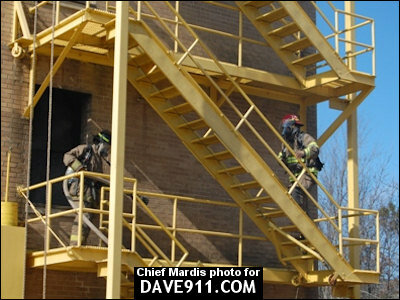 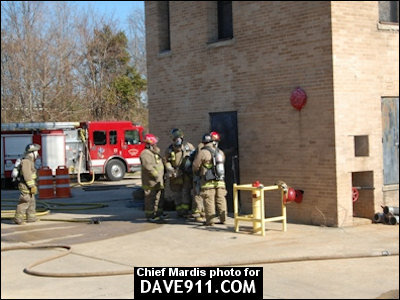 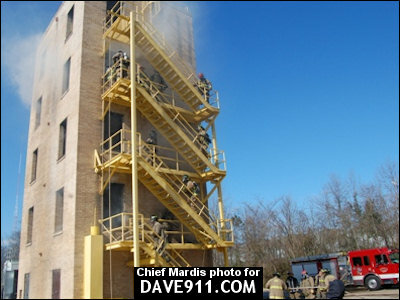 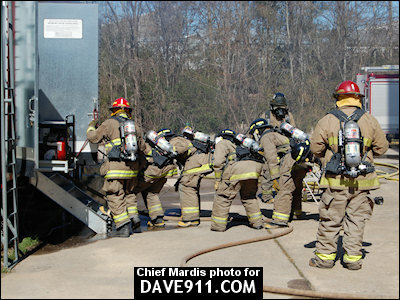 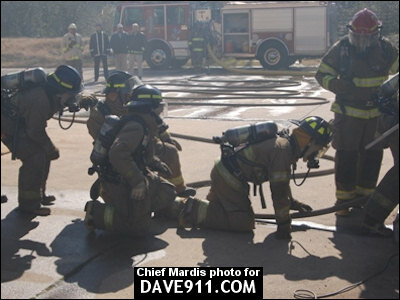 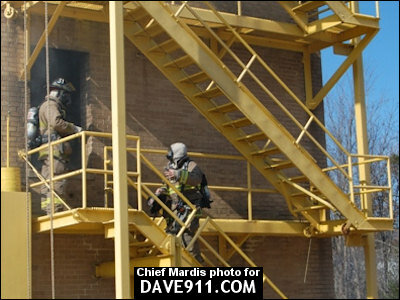 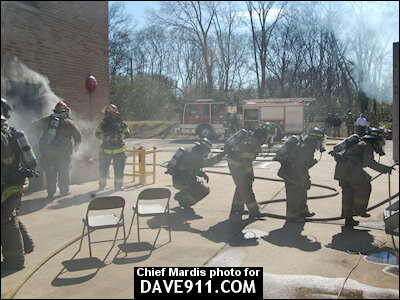 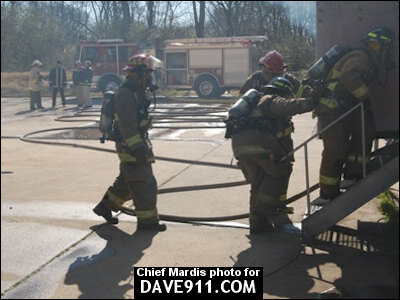 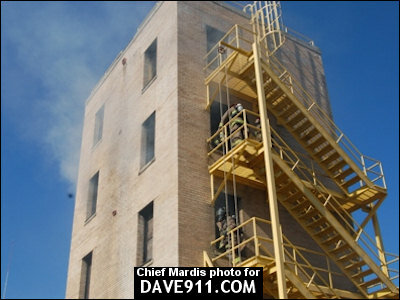 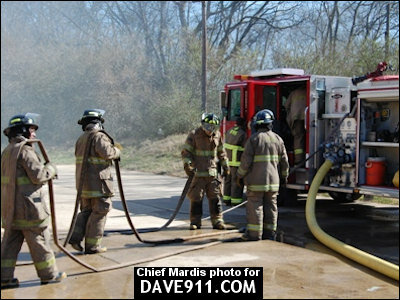 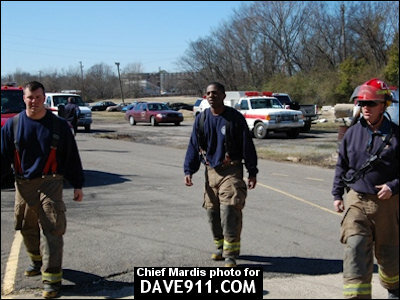 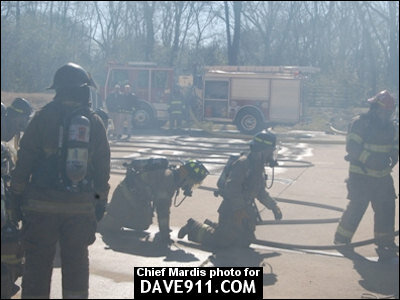 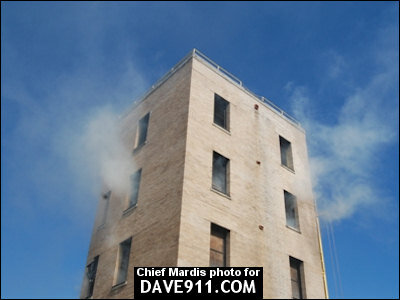 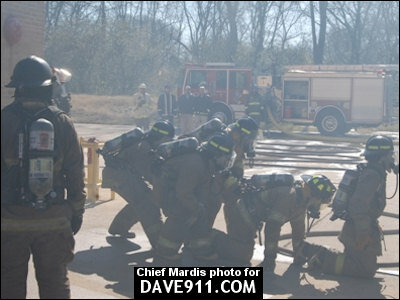 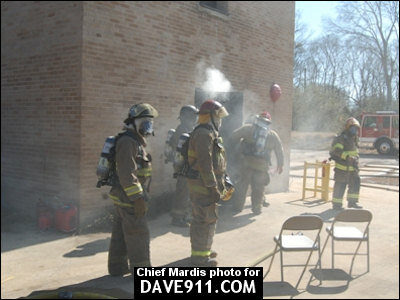 The live fire for the current rookie school class was held at Drills & Training West. 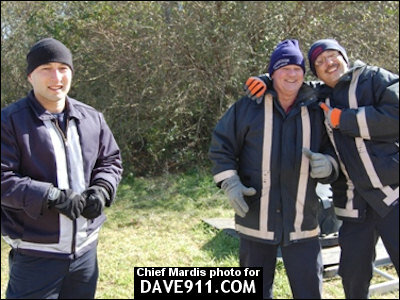 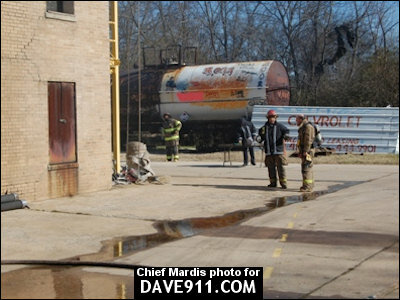 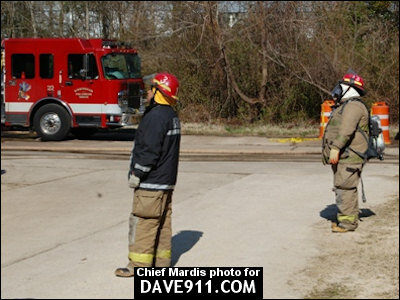 Below are a few pictures from the exercise. 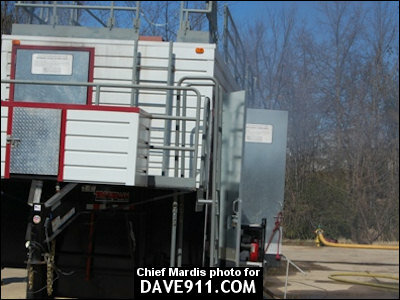 What's in the trailer? 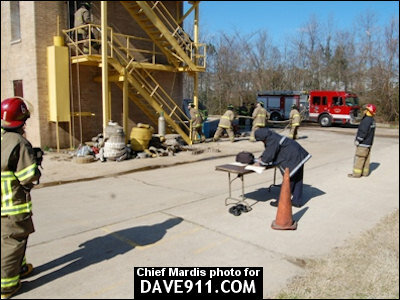 Maze? 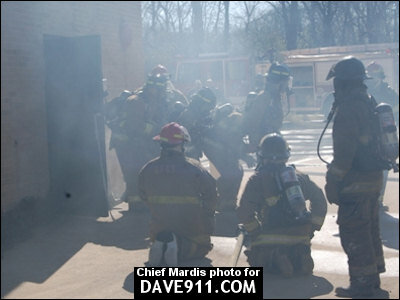 Flashover simulator? 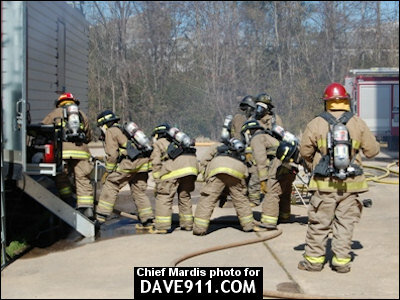 Sumpin else?